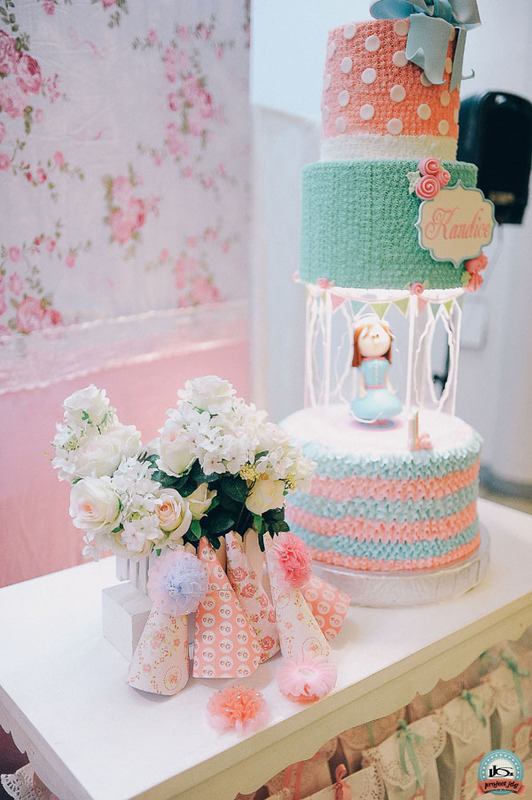 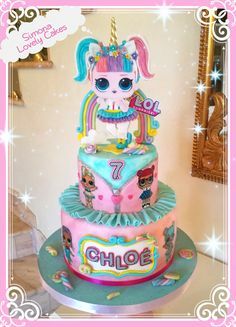 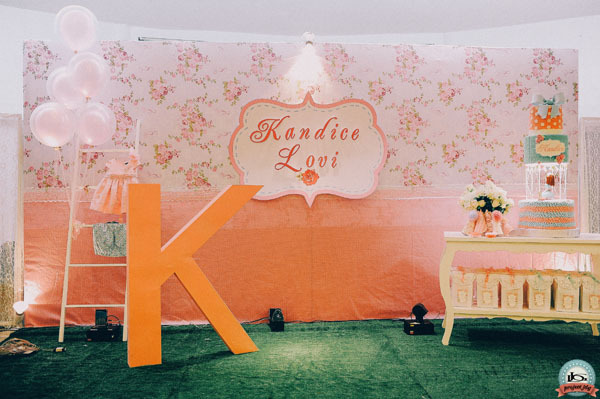 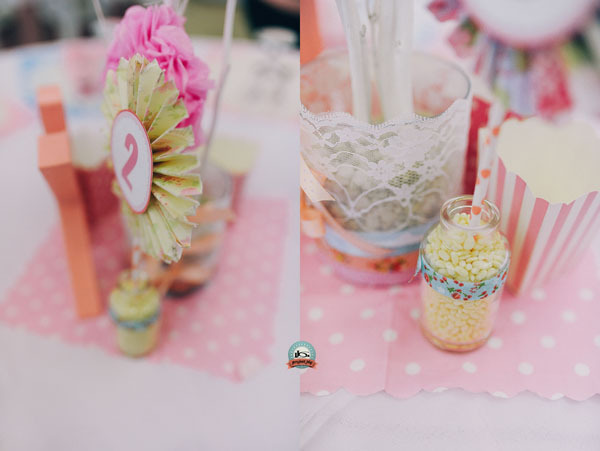 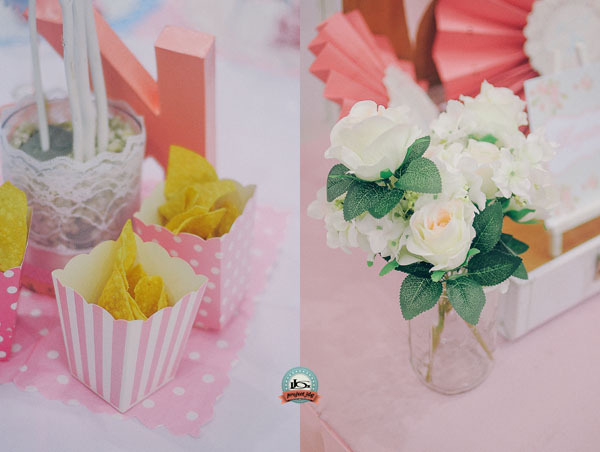 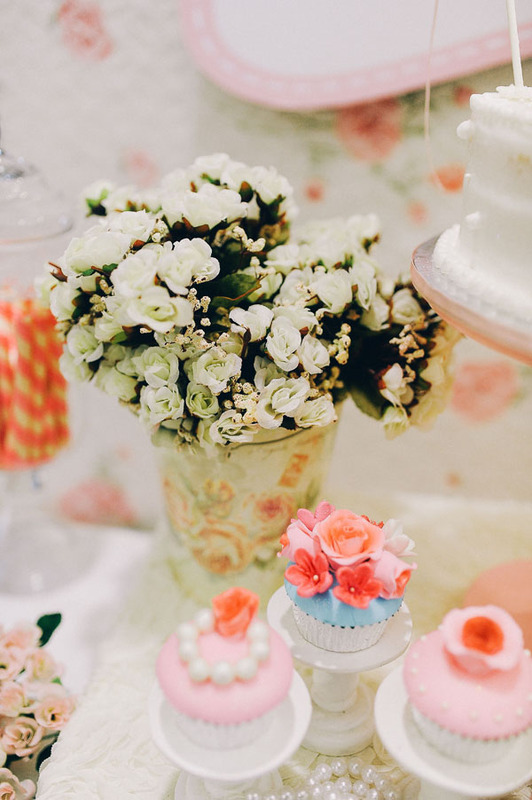 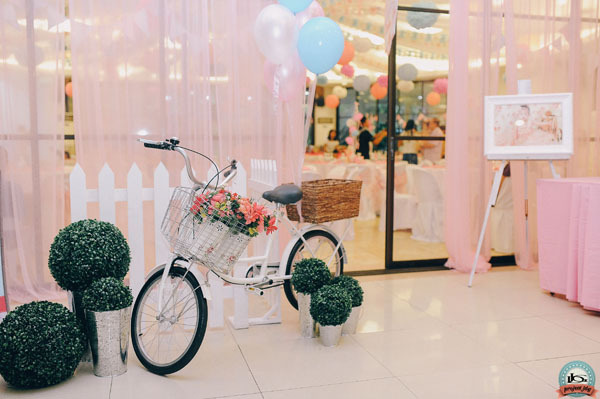 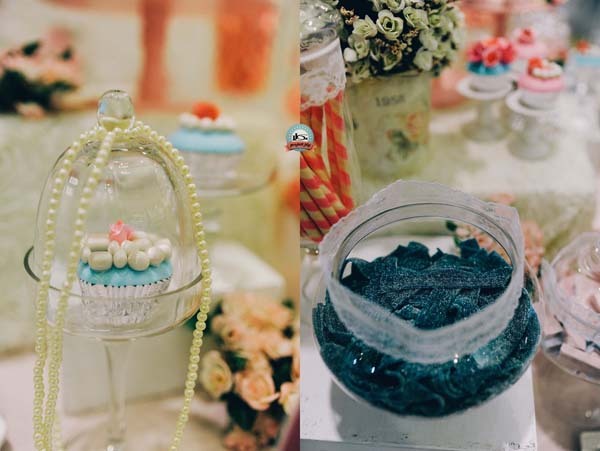 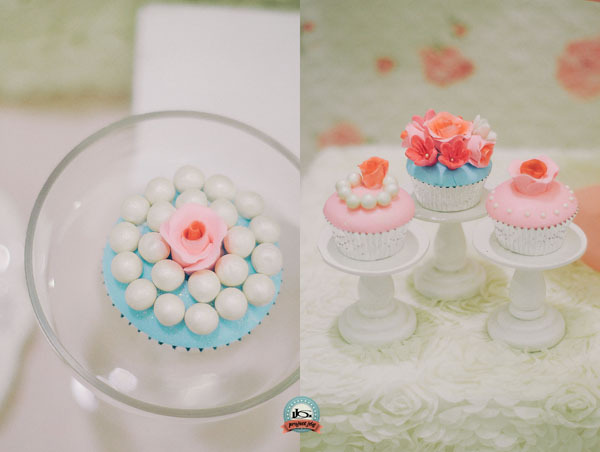 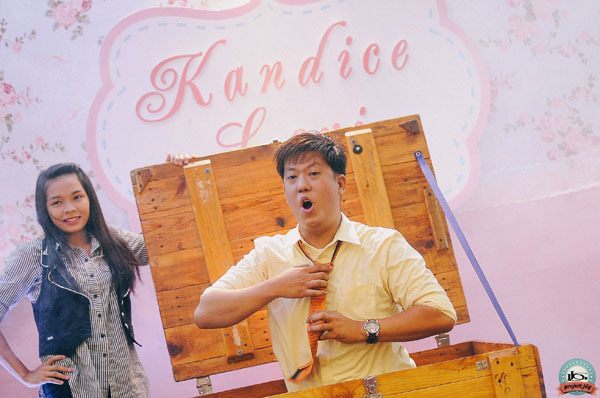 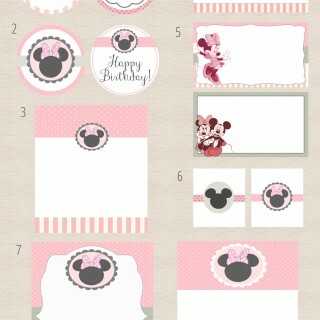 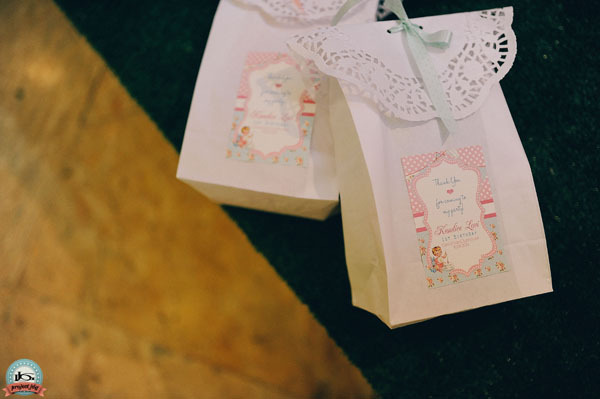 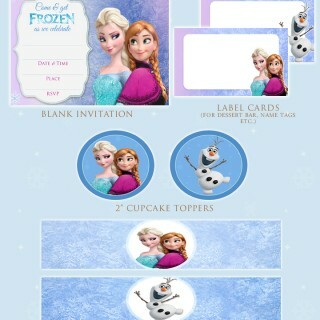 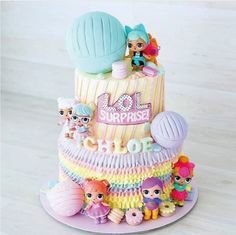 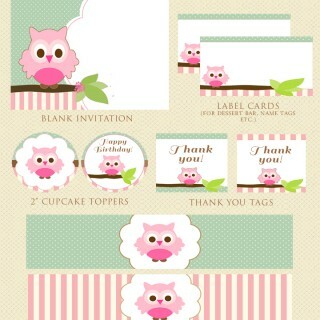 Shabby chic is indeed a popular theme not only for weddings but kids’ parties as well. 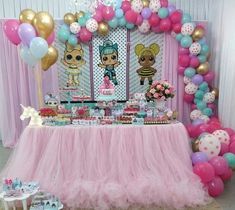 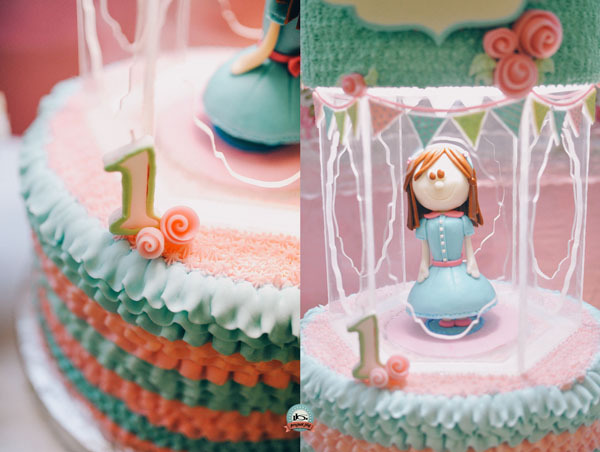 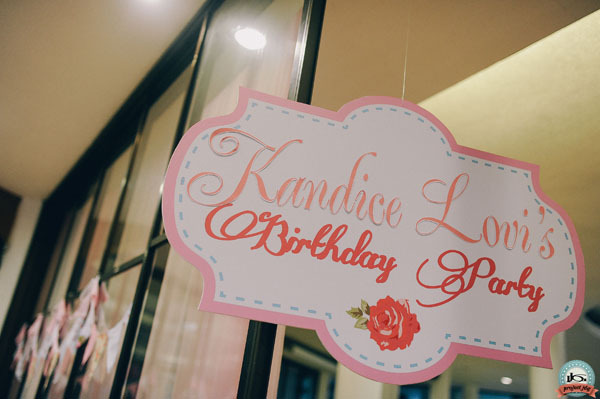 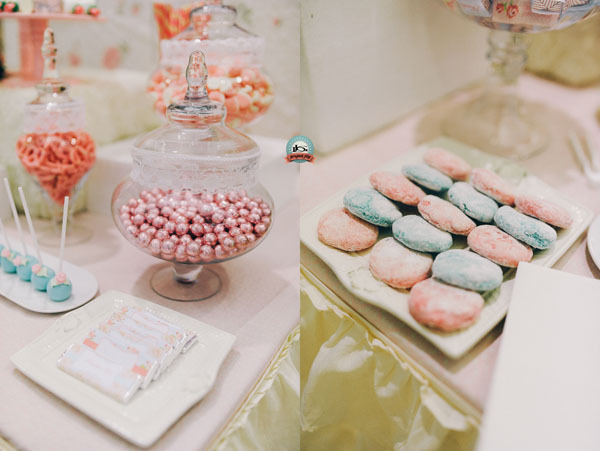 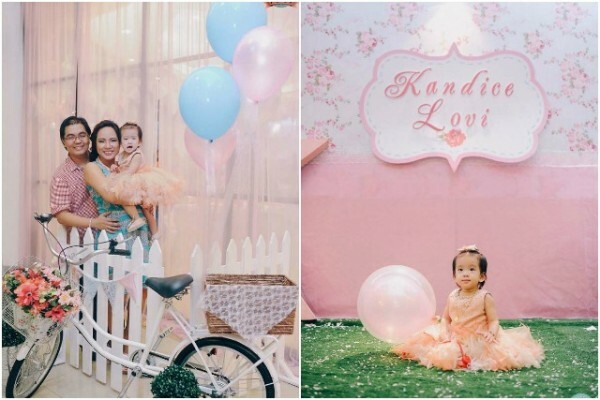 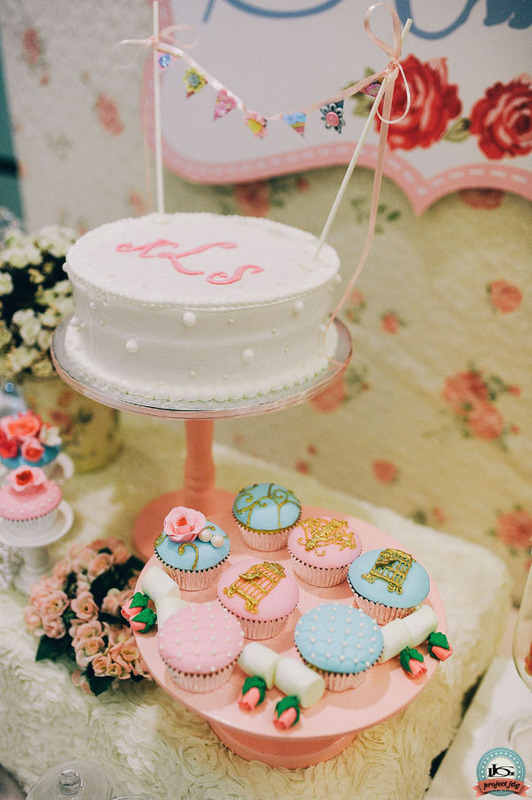 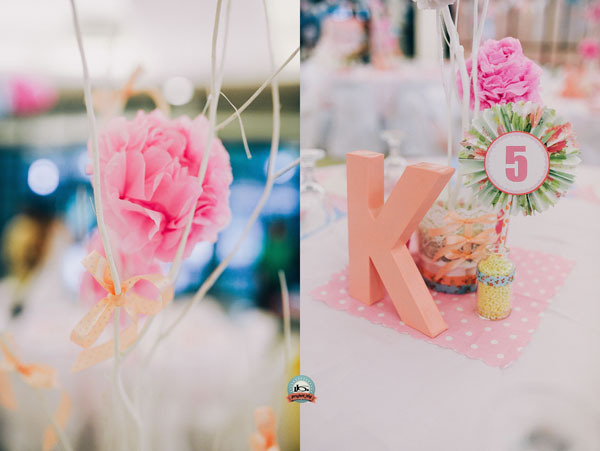 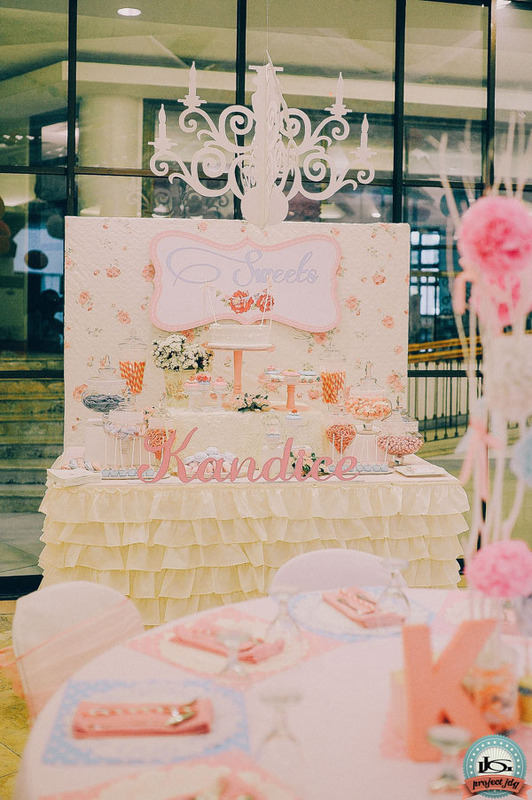 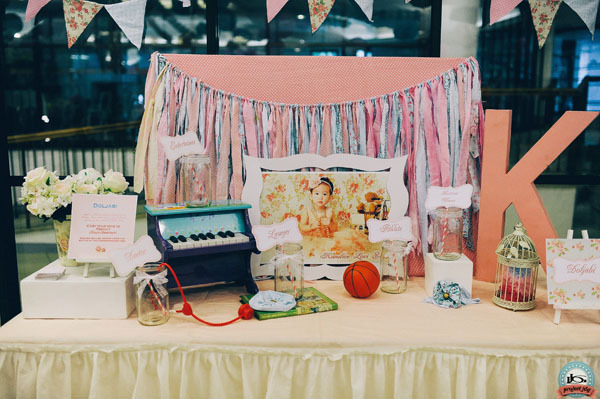 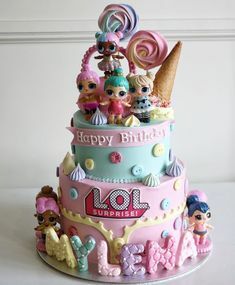 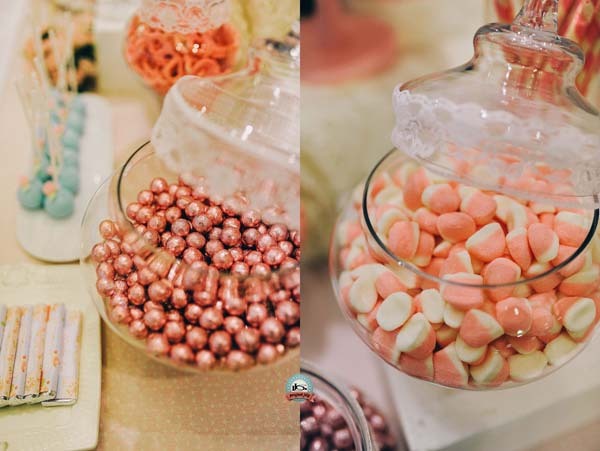 Here we have a shabby chic birthday party designed by Sweet Nest Candy Buffet that is overflowing with lots of lovely and creative details. 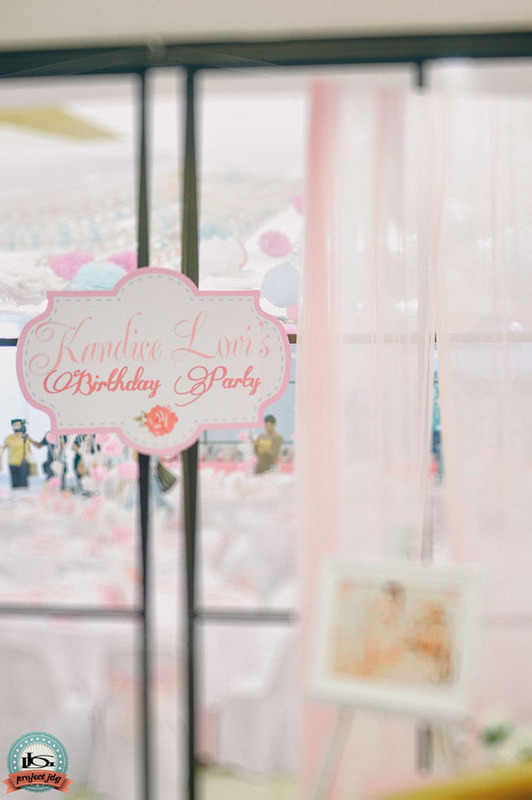 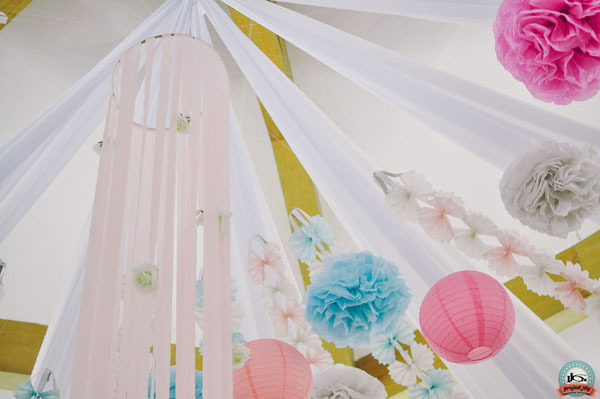 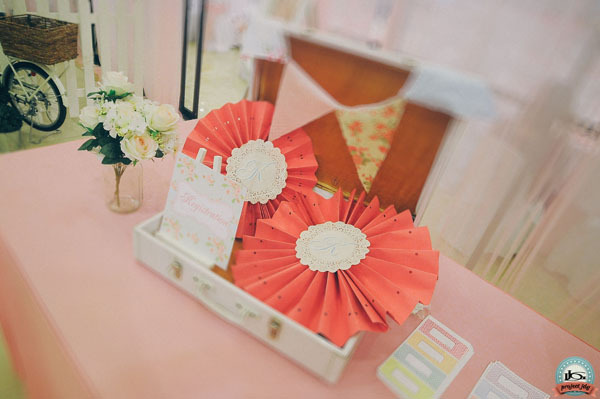 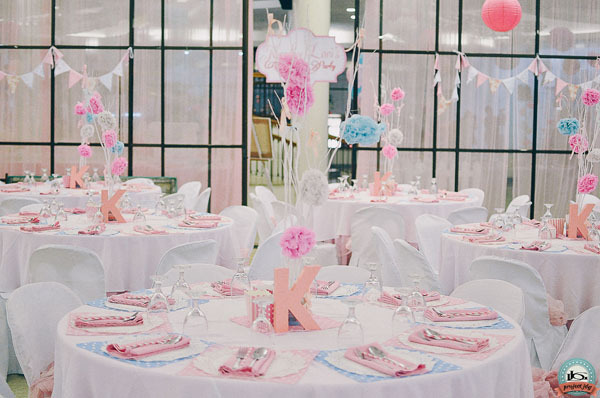 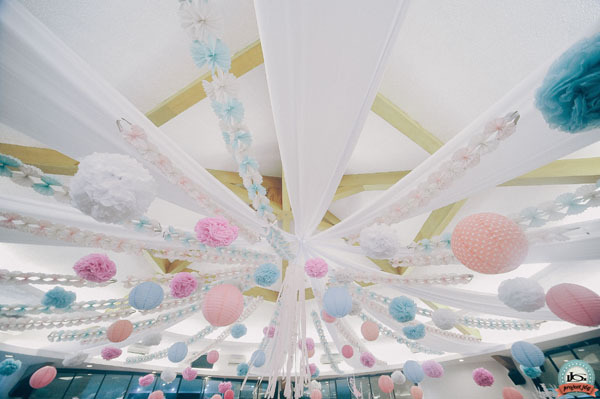 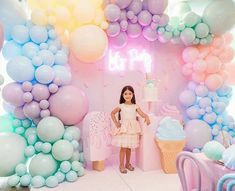 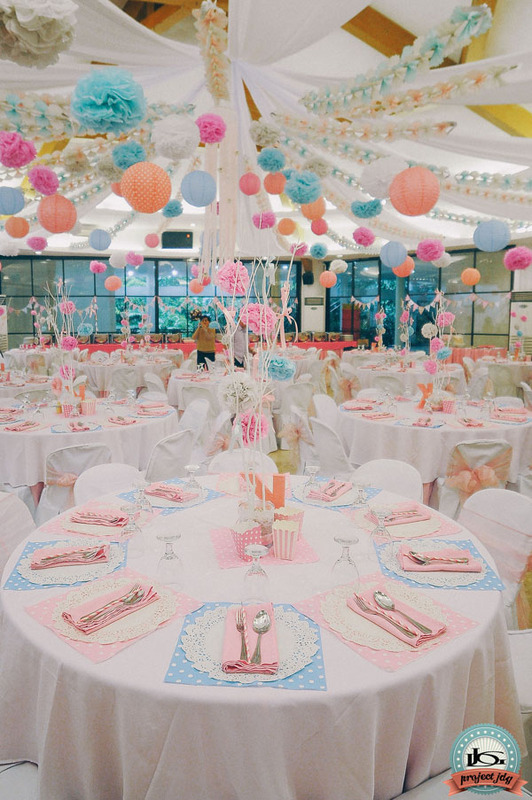 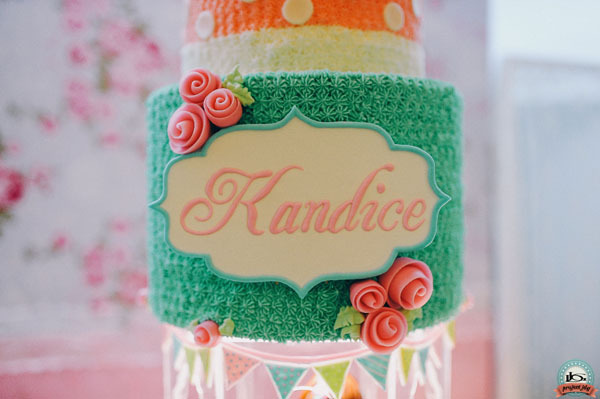 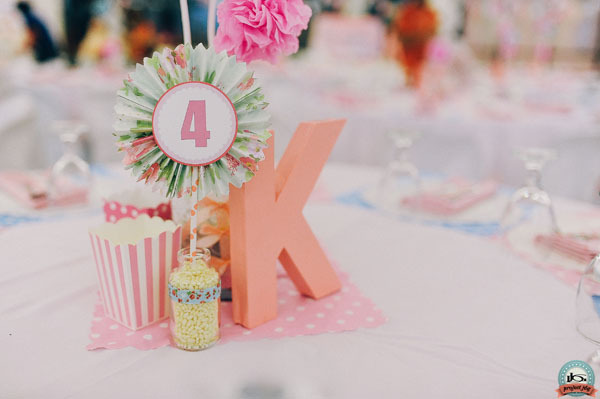 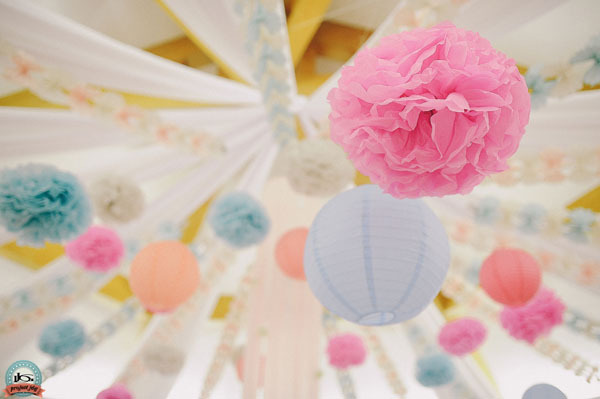 The ceiling decors consist mainly of paper pompoms and lanterns in pretty pastel colors of peach, pink and blue. 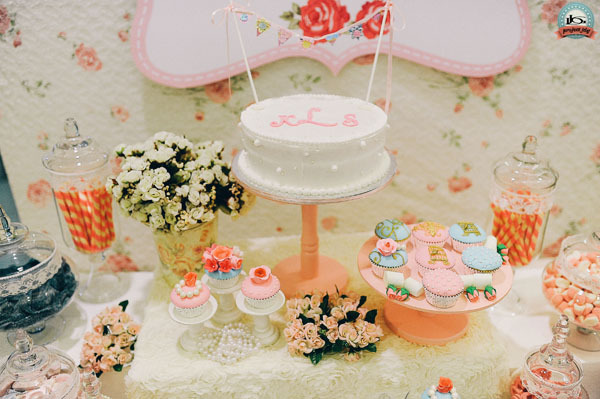 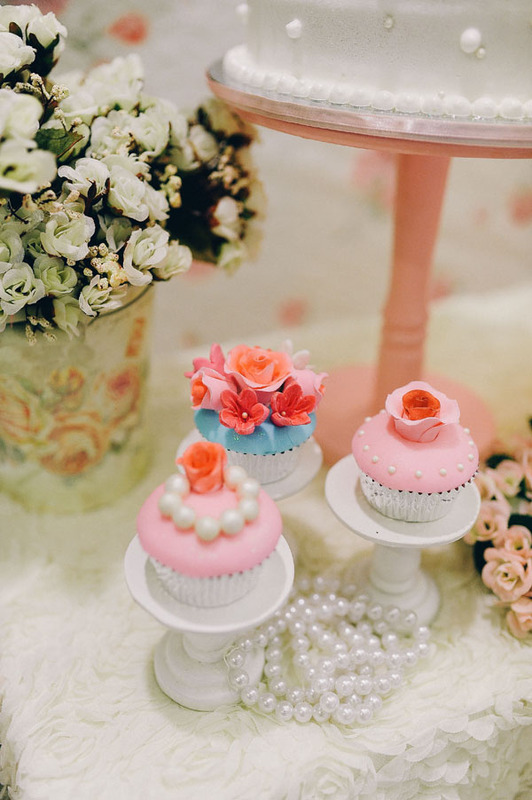 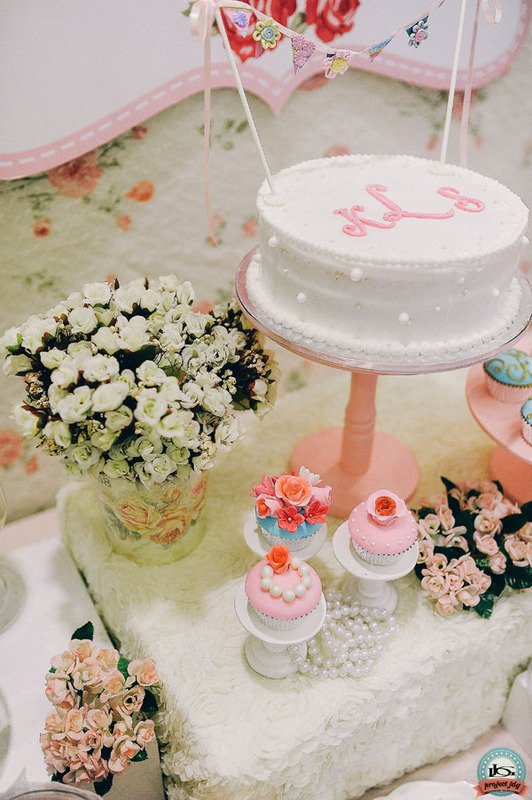 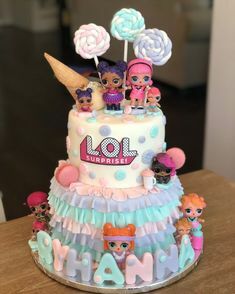 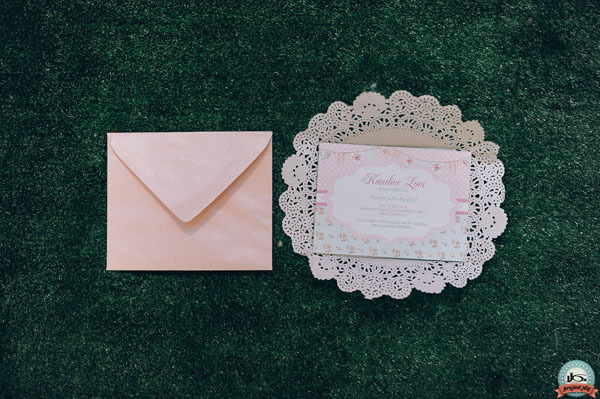 The flowers, doilies, lace, pearls, floral prints and the dessert treats are all so dainty and pretty it makes a great source of inspiration for a fabulous shabby chic or any other kind of girls party.